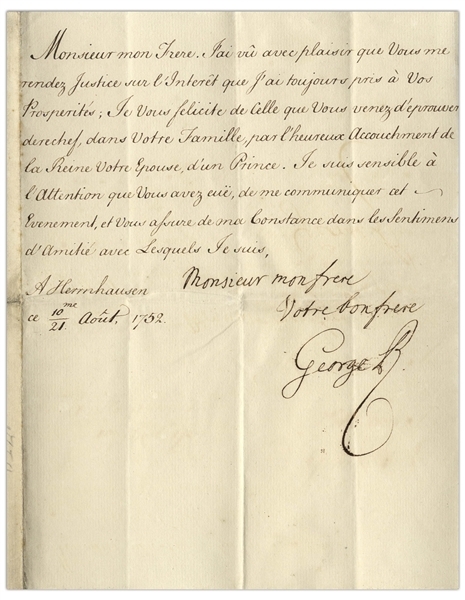 George II letter signed as King of Great Britain. 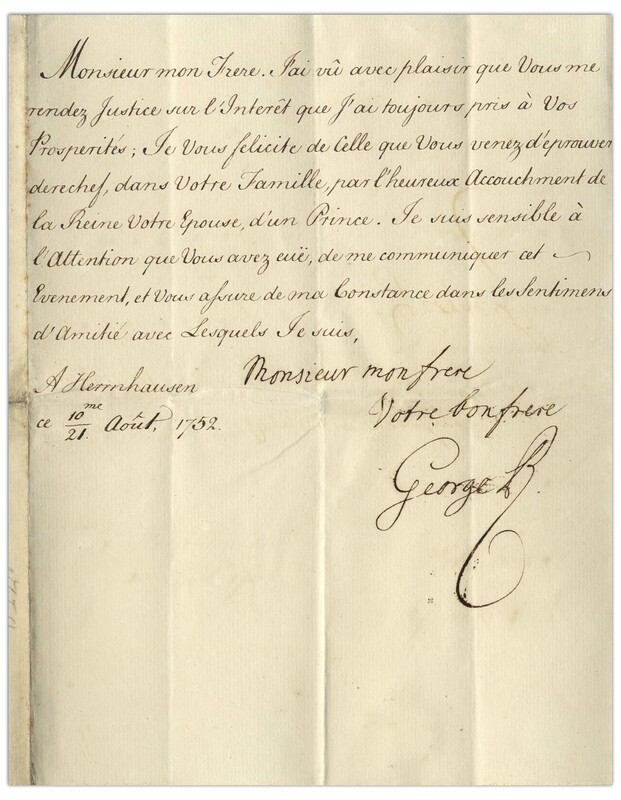 Writing from his summer residence Herrnhausen on 10 August 1752, the King sends congratulations to Charles III of Spain on the birth of the Prince, Infante Gabriel. 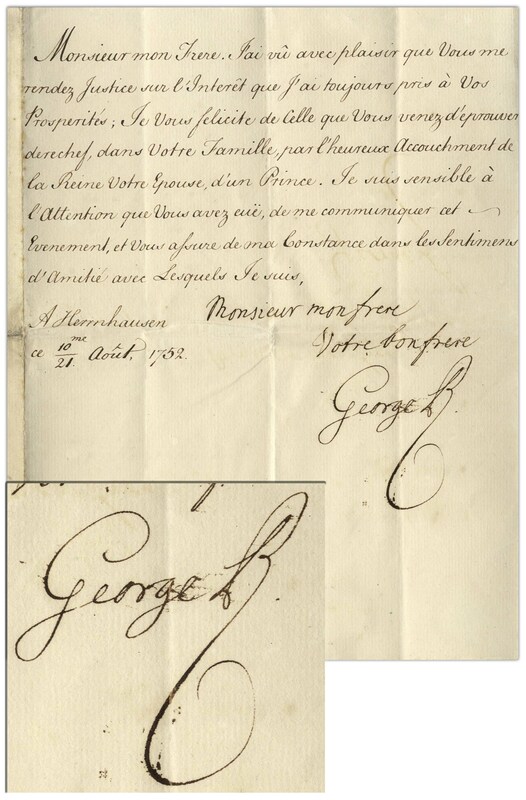 Signed ''Sir my brother / Your good brother / George R'' at conclusion. 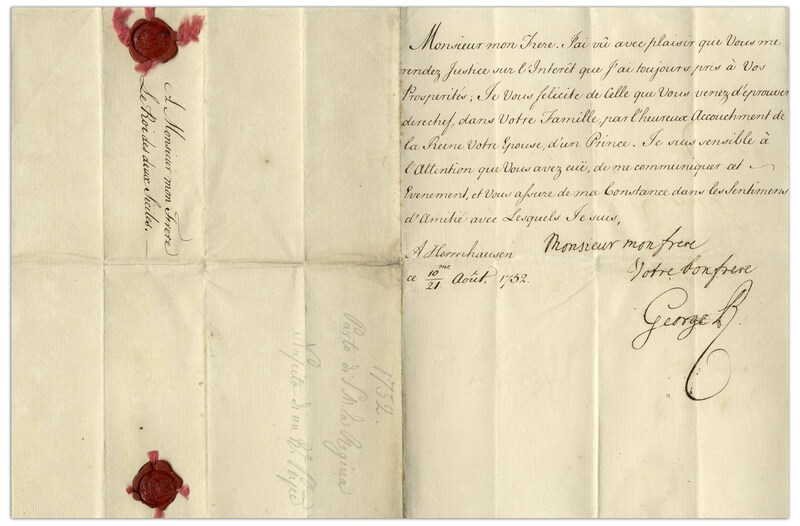 Single page, in French, measures 7'' x 9.5'' on bifolium stationery, with two red wax Royal seals on verso, addressed to ''My Brother King of the Two Sicilies''. Folds and minute smudging to signature, else near fine given age.